Unravelling in Rhymes kicks off for 2019! 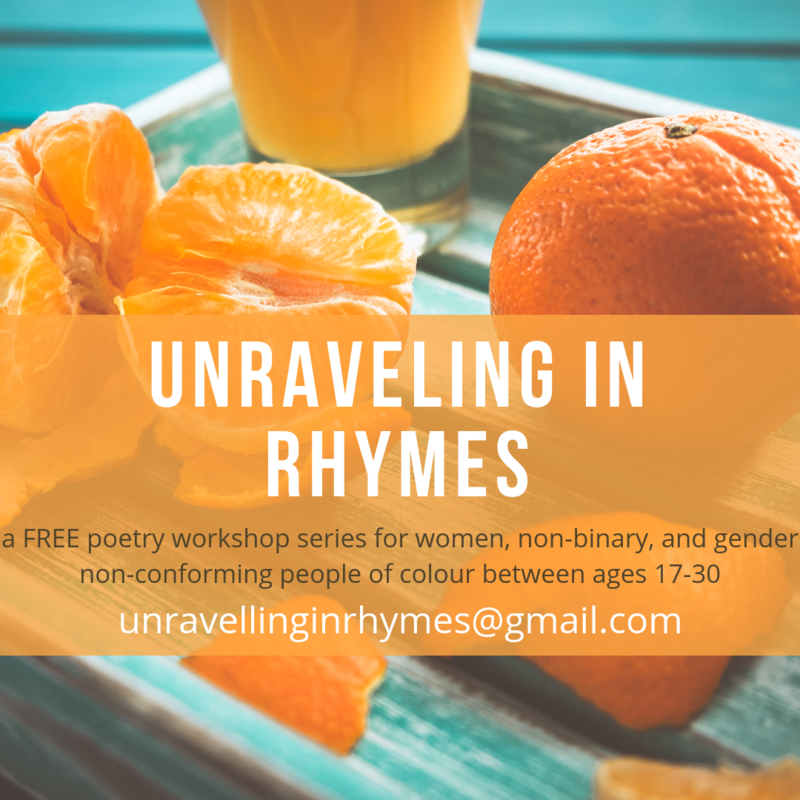 After being on hiatus for over a year, we successfully re-launched our Unravelling in Rhymes poetry and creative writing workshop series on January 26th! A group of 14 participants gathered at The Open Centre to partake in an afternoon of writing and sharing , while being open to vulnerability and fostering courage in sharing and writing about our truths. We had the absolutely pleasure and honour of inviting Moe Clark as our guest poet facilitator for the afternoon. Moe is a Métis multidisciplinary artist and a nomadic songbird with wings woven from circle singing and spoken word. Originally from Treaty 7, she’s called tio’tia:ke (Montreal) home for over a decade. Moe fuses together vocal improvisation with multilingual lyricism to create meaning that is rooted in personal legacy and ancestral memory. Apart from performance, she facilitates creative workshops in various contexts; she produces festivals and performances; and she mentors emerging artists. Moe Clark also loves the looping pedal, and so our first Unravelling in Rhymes workshop involved creating soundscapes and recording spoken poetry as a group. We also spent time free-writing in response to reflections on natural elements of our earth, land and climate. We are grateful for such a lovely afternoon of warmth, tea and fruits, sunshine, and writing our truths and vulnerabilities in a shared space of love and creativity. Stay tuned for the next workshop in April, 2019! Workshops are part of the Youth Program and South Asian Collective initiatives, and take place once every season, and are open to women, non-binary, gender-fluid, 2 Spirit and gender non-conforming people of colour between the ages 17 and 30 years old. Workshops are generally provided in collaboration with Vallum Magazine, one of Canada’s top poetry journals encouraging dialogue between Quebec and the rest of Canada through the exchange of ideas and writing with acclaimed and emerging artists in Canada and internationally.